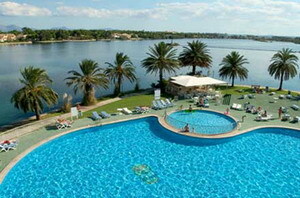 The Bellevue Club is a sprawling resort complex located on Mallorca's north coast, 300 metres from the beach and four kilometres from Alcudia. 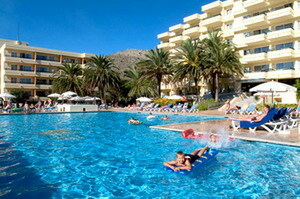 Resembling a typical Mediterranean village, the resort is situated next to the Esperanza Lake and is one of the largest holiday complexes in Europe. Guests can spend lazy days by one of the swimming pools bronzing on the sun terraces whilst sipping cocktails from the poolside bar. Children will be kept entertained in the kids' paddling pool and during the summer months there are plenty of organised activities at the mini-club. 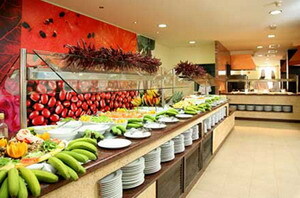 The complex offers five restaurants and 12 bars including an English pub, Irish tavern and bowling bar. A wide range of activities are on offer for free including volleyball, archery, football, basketball and a games room. guests can enjoy access to tennis and squash courts, archery, shooting and mini-golf (surcharges applies), and the nearby beach offers plenty of opportunities for sea swimming as well as windsurfing, jet skiing, water skiing and parasailing (surcharges apply for all water sports). Other onsite amenities include a mini-market, laundry, bicycle and car hire desk, currency exchange services, conference rooms and a kindergarten. For those arriving by car there is free parking on site. 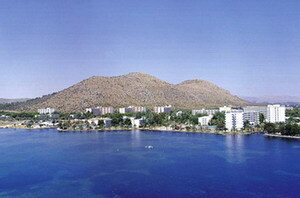 The beach is just a 300 metre walk from the complex and Alcudia resort centre is four kilometres away. 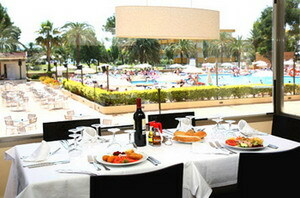 Palma airport is 65 kilometres away with an approximate driving time of 40 minutes. All-inclusive Plan - The all-inclusive rate includes the following: room accommodations; buffet breakfast, lunch and dinner; local alcoholic and soft drinks; snacks; use of swimming pools and pool sun loungers; volleyball, aerobics, water aerobics, games room with darts; table tennis, archery, football, basketball, board games; children's mini-club; daily shows and entertainment. not included: premium wines/alcohol, minibar items, tennis courts, squash courts, billiards, bicycle hire, French bowls; go-karts; mini-golf, horse riding, beauty services, transport, transfers, phone usage, additional purchases. There are 1,474 studios, one-bedroom and two-bedroom apartments distributed amongst 17 buildings. 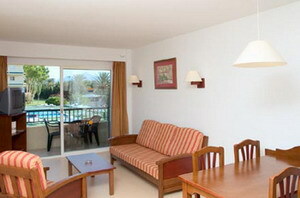 All are decorated in a light, Mediterranean style with white walls, laminate floors, wooden furnishings and balconies. There are kitchen and living areas in each room, and amenities include cable TV (surcharge), phones, internet access, minibars and safes. 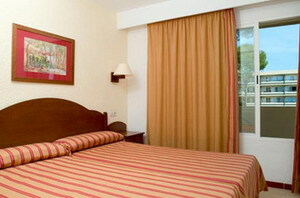 Self catering and all all-inclusive rates are available.